We are Manufacturer, Supplier and Exporter of Turn Mill CNC Machines. 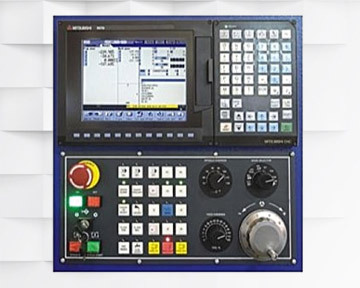 This product is also known as Turn Mill CNC Lathes, Turn Mill Centers, Turn Milling CNC Machines, Turn Milling CNC Lathes, Turn Milling Centers, Turning Milling CNC Machines, Turning Milling CNC Lathes, Turning Milling Centers, 4 Axis CNC Lathes, 4 Axis CNC Machines etc. Our setup is situated in Satara, Maharashtra, India and majorly we serve our customers from countries like USA, Germany, Kuwait, Saudi Arabia etc. 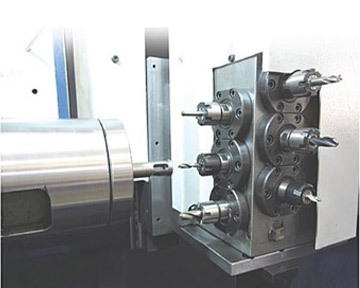 This is a 4 axis Linear tooling turn mill lathe, the most economical alternative to a turret type C axis lathe. The tooling system comprises of 4 turning, 4boring & 6 live tools, giving a total capacity of 16 tools. It's unique design allows rapid chip to chip time. Its design enables reduction in cycle times. About 25% of processing times can be reduced and the economical efficiency of the machine is increased. The rigid design of machine allows heavy duty cutting to be performed. 6 Live tool spindles with both C axis & Y axis can complete most complex work piece in single setup. The 90 vertical design of slide enables direct chip fall into chip tray without any accumulation on slide. The machine base, slides are ribbed rigidly to impart stability & robustness They are accurately machined & ground for optimum performance, minimum distortion, superior vibration control, cutting stability. The machine is ergonomically designed to provide easy access to working area, operation panel Well dimensioned spaces for flow of chips and circulation of cutting fluids is provided. The gang tooling system allows fast chip to chip time as the travel of tool is very less while changing tool position. 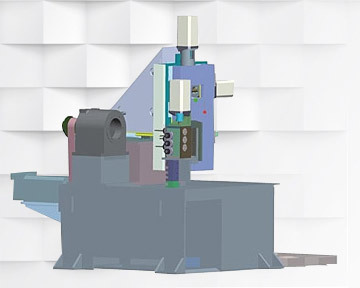 The addition of Y axis allows complex 'off centre' milling operations to be done, and with full C axis control many complex shapes can be machined. Thus the machine can be used as turn mill centre. Tool holding of the live tool is made by ER20 collets enabling the use of economic standard tools. 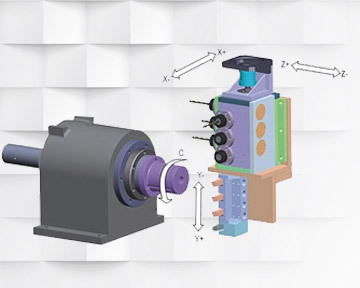 The slide have X, Y & Z axis movements & hence drilling or milling on face, drilling or milling on PCD, drilling or milling on diameter, Spanner fiat on shaft diameter, helical grooving, polygonal milling, square or hexagonal shape cutting are easily possible on machine. The cartridge type case hardened alloy steel spindle runs on P4 high precision bearing giving high radial and axial forces to be carried, allowing for heavy duty cutting. Oil is circulated in headstock for better cooling effect of spindle. The spindle is assembled and tested in a temperature controlled clean room, sealed, and requires no maintenance. The spindle housing has a symmetrical design and is large to allow heat dissipation and thermal stability. The machine is equipped with high precision, imported liner guide way. The use of 35 mm rails increases stability, accuracy and allows heavier cuts to be taken.